Oes Tsetnoc says Happy Birthday for Loenpia , Ngeri Thok Nda ! Home / community / Oes Tsetnoc says Happy Birthday for Loenpia , Ngeri Thok Nda ! Oes Tsetnoc says Happy Birthday for Loenpia , “Ngeri Thok Nda”! 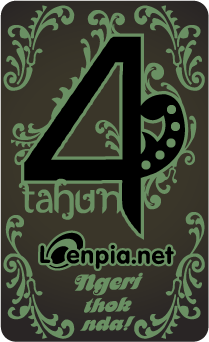 that’s slogan for our community Loenpia.net (just for this birthday). yes age loenpia 4 years old now, 4 years for everything. Friendship, Relationship, Network, Smile, laught, kidding, hopes , invective , study , social activities , and many more ! we just comedian impersonate community blogger. blog just for identity! just kamuflase fatamorgana (lol) . actually we are mailing list community. we open discussion on there, and also for meet another blogger from another city and another person. by the way we love our community, we love our joke, we love our activity, and last we love Friendship *take bucket*! 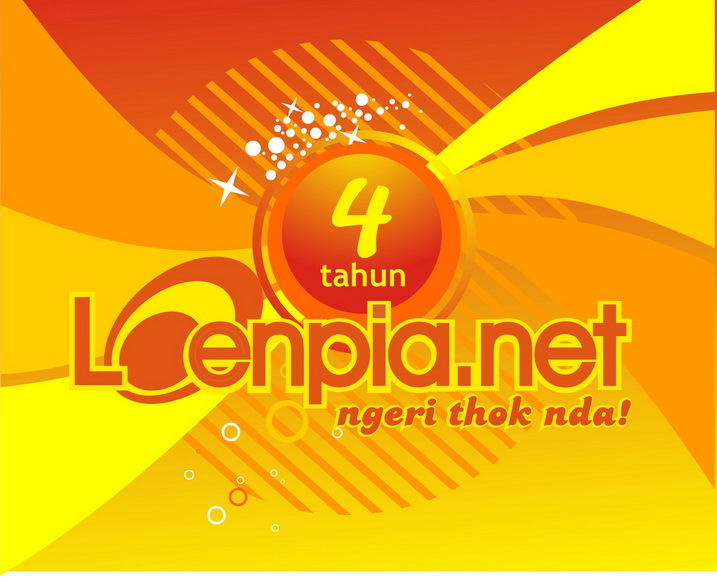 so let’s join on our community LOENPIA.NET. specially single woman with age betwen 17 – 25 years old, that’s right my brother (lol) .